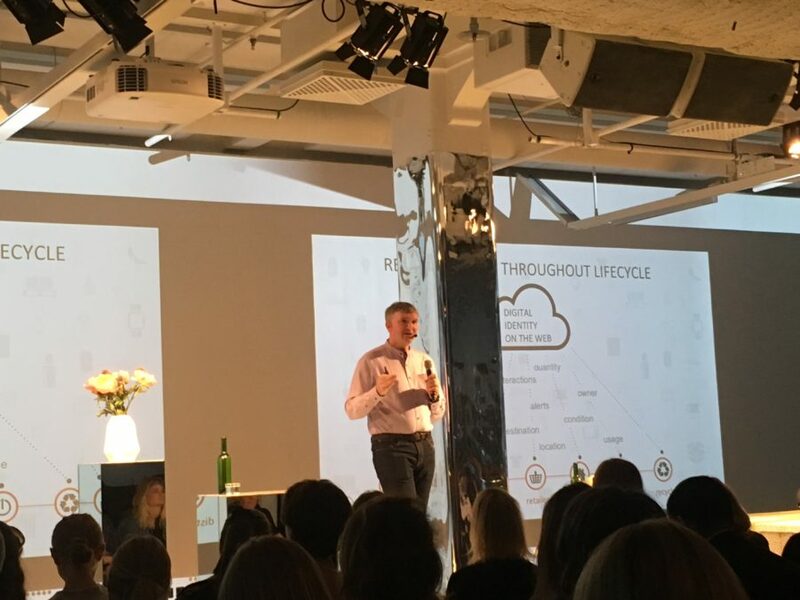 On June 7, EVRYTHNG co-Founder and CEO Niall Murphy spoke at the Stockholm Fashion Tech Talks about how smart products are set to transform the apparel industry. The Internet of Things isn’t just about connected cars, home appliances or factory machinery. Indeed, digital enablement is coming to all products. Every physical thing from the bikes we rise to the beers we drink to the clothes we wear are coming to life digitally. Futurist Bruce Sterling once said: “Why can’t I Google my shoes?” In fact, this vision is becoming a reality with digital capabilities being built into into everyday products like shoes and apparel at point of manufacture so that every item can now trigger and drive digital applications, with the ability to share its data via the Web with people, systems and apps. Products that are part of the digital world unlock new business models. They connect to the systems and apps around you, like a jacket that gives you access to a club and then lets you control the music (you’re wearing the playlist!). They connect to wearables and other smart products for personalized experiences. And they communicate with in-store and distribution systems to enable mobile checkout, eradicate fraudulent returns and avoid stock-outs. Imagine a world in which your t-shirt tells you its carbon footprint. Your sweater tells you how to recycle it. Your jacket lets you review it, and then shares that with your social networks. Your handbag lets you join a loyalty program and unlock celebrity content. Your football jersey is your ticket to the game and lets you pre-order halftime drinks with a special offer. This is the future of #BornDigital products. And it’s available to us right now. EVRYTHNG has partnered with Avery Dennison to build 10 billion #BornDigital smart products over the next three years, combining smart labels, apps and software in the cloud to make products part of the Web and change the nature of apparel products. We’re working with innovative fashion brands to realize the vision of physical products with a digital layer of added value. The Rochambeau BRIGHT BMBR smart jacket is a collaboration between the New York fashion label, EVRYTHNG’s IoT Smart Products Platform, apparel labeling giant Avery Dennison and next-generation experiential retailers The New Stand that triggers VIP art, food, nightlife and retail experiences from clothing. 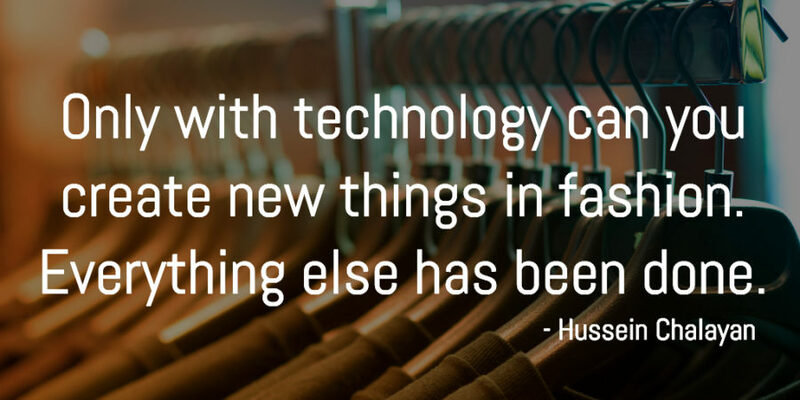 Apparel brands don’t need expensive, difficult new electronics to pull this off. All types of connectivity can be used, and often combined together. Physical triggers on or embedded into apparel (such as QR, NFC chips and RFID tags) connect to the clothing’s digital “cloud half” on the Web for software intelligence to power new applications. This means that any product can become a data-generating object that brings total visibility throughout their lifecycle and creates opportunity for ground-breaking new consumer experiences. The brands doing this now are unlocking real-time insights not previously possible. As Kevin Plank, the founder and CE) of Under Armour, said: “Our belief is data is the new oil. You think it’s a coincidence Google or Amazon is who you’d bet on? The companies that win are those using math.” It’s time for apparel brands to act now, or be left on the shelf. Because the future of fashion isn’t just about designing clothes with fabric; it’s also about designing smart, digital services and connected cloud capabilities that can be stitched in.